Everyone deserves to experience the look and feel of a carbon fiber bike. 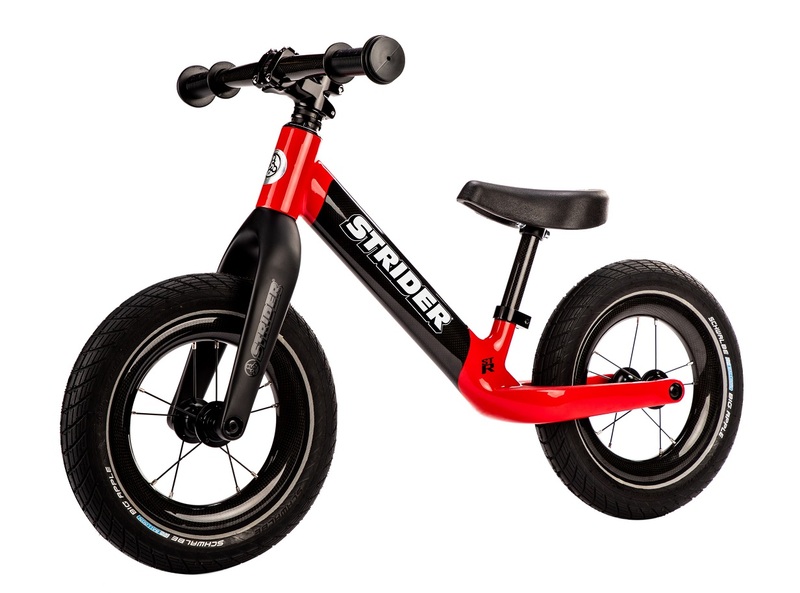 And with the Strider 12 ST-R, that means every single little one. The silly expensive $900 Strider balance bike comes with full carbon fiber frame, fork, wheels, handlebar, and seatpost. And, of course, if you’re going this big for your little one, there’s no point in stopping there. Available in October, Strider mounts the 12 ST-R with a Cane Creek AER headset, a custom-forged alloy stem, and Schwalbe Big Apple tires. And don’t worry! There are additional high-performance components to set any young racer up for success. Not to mention a lifetime of bike snobbery. Pedal-free Strider rides are designed to encourage kids to balance on a bike first. It’s all part of the brand’s learn-to-ride process for a smooth transition to the two-wheeler. The company makes everything from a bike rocker for babies up to a push bike steady enough for a 7-year-old. And it serves every age in between. 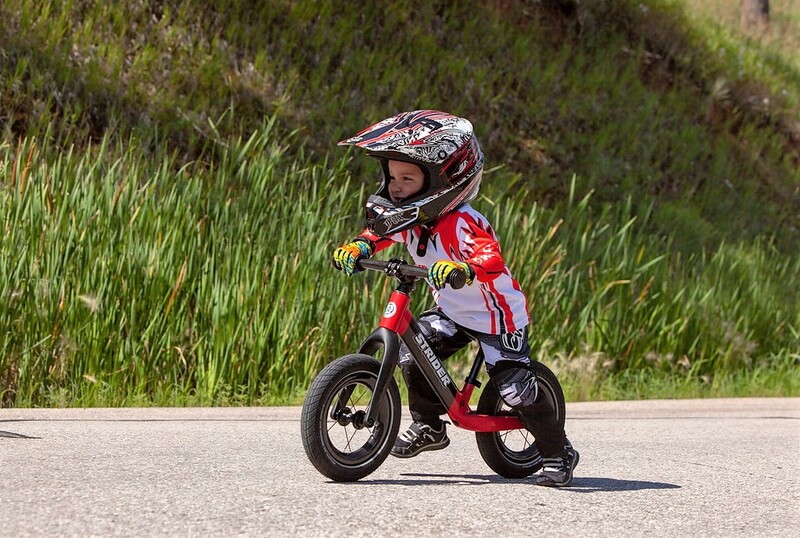 Bike tykes as young as 6 should be ready for the luxury 12 ST-R, which joins the Strider 12 series of bikes, including steel (Strider 12 Sport) and aluminum (Strider 12 Pro) options at much lower price points. 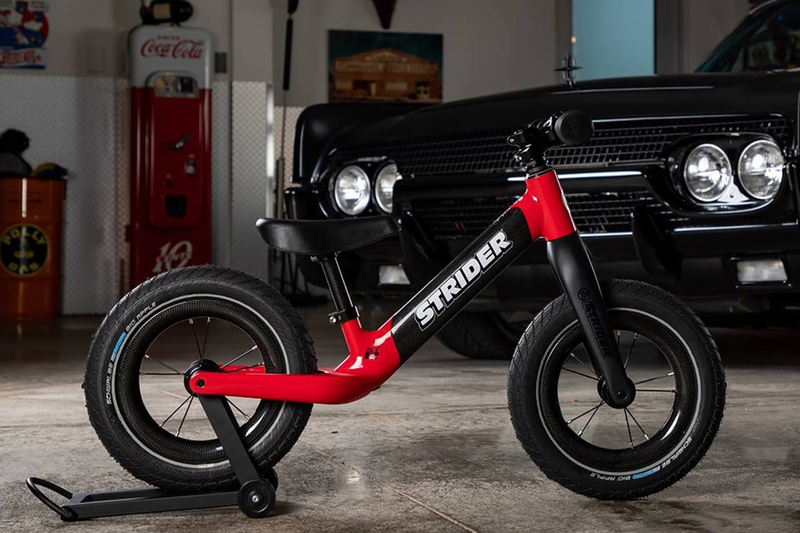 But if your kid is already planning to dominate in next year’s Strider World Cup Championships, or just owning the neighborhood, the 12 ST-R is the bike for you to live vicariously through them. Like all the best $900 impulse purchases, you’ll need to act fast. The Strider 12 ST-R is a limited edition bike. The carbon mini racer will be available this October.